Here are some tips on how to find the right mortgage and how to ensure it does not become too onerous a burden. Given the high cost of living and the wide availability of credit, getting into debt is something that many Australians seem destined to do. Yet while Australia might have one of the highest rates of personal debt anywhere on Earth, that doesn’t mean every form of debt is a bad one. Some debts, like mortgages, are actually useful because they provide a route to valuable asset ownership, and they prevent people from being stuck in a rent trap for their whole lives. Here are some tips on how to find the right mortgage – and how to ensure it does not become too onerous a burden. In order to entice customers, lenders often put a headline interest rate out first. They might offer a low rate for the first two years, for example, which then goes up to a much higher rate further down the line. While there’s always the possibility to remortgage, that costs money too – and if the borrower forgets to do it when the initial term runs out, then they may get stuck on higher repayments in the long term. For that reason, it’s better to work out what the overall rate will be, and to compare mortgage deals based on how much interest would need to be paid overall. However, a note of caution should definitely be sounded. The credit crunch of the 2000s was caused in part by banks – in the USA and elsewhere – which were far too lenient with lending criteria, and in particular ended up giving out mortgages to lots of people. Since then, many lenders around the world have made the decision to tighten their lending criteria in order to ensure that the people who borrow from them stand a decent chance of paying the money back. But some reports have suggested that Australian lenders haven’t quite caught up with this development, and that it may be about to cause big problems. 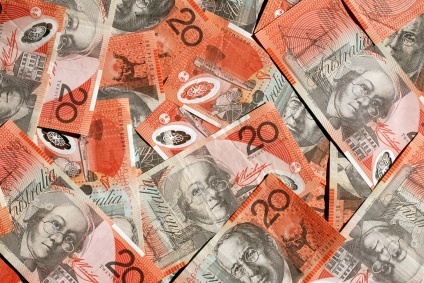 One economics expert, Professor Richard Holden from the University of New South Wales Business School, said recently that in Australia a person can in some cases access a quarter more credit than an American lender would provide. While there’s unfortunately no guaranteed way of knowing this until it’s too late and borrowers begin to default, it does mean that Australian borrowers need to be more careful. So while that low-rate, accessible mortgage may seem very appealing, it’s worth exercising caution and double-checking salary and outgoings figures – as it’s possible the lender hasn’t bothered to do so. One of the great things about the internet age is that there is a tool or a calculator for everything, and home loans are no exception. But mortgages are complex beasts and choosing the wrong one can have long-term consequences – even if websites and online tools are used. For that reason, it is definitely worth speaking to an expert, like a mortgage broker, for some tips on how to strike the best possible deal. Although these professionals will usually have a material interest in selling a particular product, borrowers can at the very least use them as sources of advice and ways to iron out any issues they might have. If their product matches the borrower’s needs once they’re fully informed, that’s simply a bonus! Debt may seem like a scary word to the countless Australians who find themselves surrounded by credit card bills, but it’s not always a bad thing. A mortgage is a great way to invest in the future, because it means that once the loan is paid off, the borrower’s housing situation is secure, and they own an asset. In order to sensibly take out a mortgage, though, it’s important to do proper research and to double check all figures to ensure that the repayment plan is sustainable.